Are you using targeted keywords to create visibility and attract new customers? 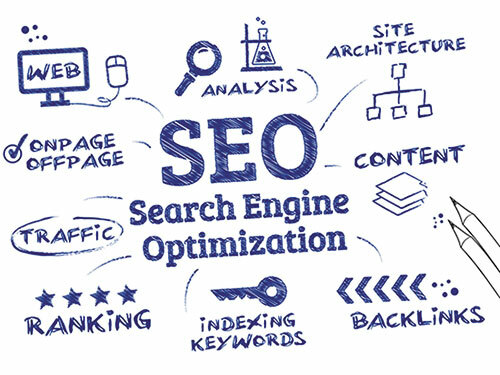 By answering the following 10 questions you may reconsider how effectively you are using SEO (Search Engine Optimisation) to promote your business in Google; and in doing so, question whether the time is right to focus on improving your website search ranking, visibility, traffic and profits. How have you chosen the keywords for your website? Are your main keywords present in the URL, page title, content, meta tags and all filenames? Are you reviewing your website and traffic statistics? Are there external links on all of your main pages? Does your website include free advice, help and information about your business? What consideration has been given to the user experience? Does the content include images & videos? Is the content regularly updated? So many websites do not focus on the right keywords. The correct keywords are not always the most popular or obvious. Research should always be undertaken as to which keywords will provide the best possible results. Consideration should be given to keyword popularity, keyword competitiveness, the market and your target audience. Most websites include keywords in the main content. But if the website content and site structure isn’t managed by someone with suitable knowledge and experience, chances are keywords are not going to appear in all the correct places. This oversight is possibly excusably if a small business is trying to manage a website in-house on a limited budget. But for companies employing a web development agency or a so-called SEO expert, failing to consider including focused keywords in your URLs, page titles, content, meta tags and filenames will only lead to lost revenue, possibly unsatisfactory search engine ranking and less than optimised results. With some degree of confidence I can say, the majority of website owners do not review, let alone act upon, website and traffic reports. The frequent excuse given is lack of time. But without reviewing how many visitors your website is receiving, which pages are most popular, what search terms they are using to find your site and where your traffic is coming from, how are you going to quantify costs and success? Google Analytics is a very powerful analytics tool and it is free. There is no excuse. It should be monitoring and gathering your website traffic information. 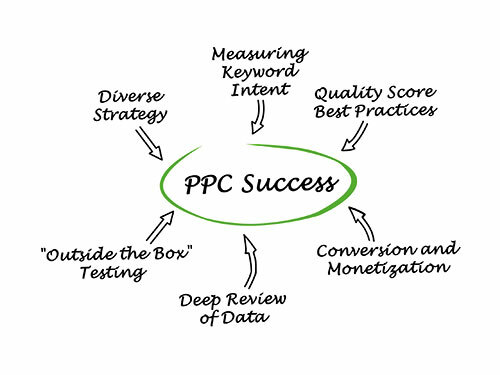 It can also be linked to a Google AdWords campaign. If you are employing a company to manage an SEO campaign, and your website doesn’t include Google Analytics, the chances are they are not doing the job you are paying them to do. Google has always placed importance on external links from one site to another. Relevant and authoritative sites that link to your website are seen as a recommendation. This in turn helps the authority of your domain and the individual page that includes the link. One common mistake is to have too many inbound links to your home page and not spread external linkage across your whole website, or at least all the important pages. All pages promoting your products and services need external links to help promote the single page in Google search results, as well as a total of external backlinks helping to promote your website domain. If you are not employing the services of an experienced online copy writer, it is very common to create content that focuses too heavily on promoting or selling your products and services and ignores the benefits of offering free advice or help. In the past few years, Google has prioritised the importance of the user experience as part of its search ranking algorithm. With this in mind, consideration should be given to menu structures and internal links to help users jump from one page to another in a non-linear way. Reviewing the actual path users are taking to explore your website can also lead to rethinking menus and linkage. Broken links are caused when a requested page or file cannot be displayed. This may be due to an image or page being removed or renamed. It may be the fault of typing error. By regularly checking and addressing broken links you will be offering a better user experience. This should be seen as offering a good customer service, which in turn may lead to a potential new customer. A well managed website will also be rewarded by an improved domain authority and better Google search engine ranking. Humans automatically look at images before reading textual content. Images can be used to brighten up a page, break up text and help provide a more aesthetically pleasing design or page layout. Too many websites will make use of a header image on the home page. But then make the mistake of repeating the same image throughout the site or leave the internal pages empty of visual content. Videos are good for value added rich content. Free advice or ‘how to’ guides are a really good way to attract attention. The same videos can be used in blog articles and across social platforms to increase visibility and site traffic. But all video and images must be of a professional quality and provide a good advert for your company. Do not upload or associate your website or company with poor quality videos or images. In too many cases, I see out of date content on a company website. Similar to poor quality images and videos, out of date content simply promotes the fact that you are not a dynamic company and your website is not a proactive promotional tool. What first impressions would that give you? Products and services generally are at the hub of all company websites. They may not change that frequently. So consider publishing a weekly blog article or adding industry news. Whatever you decide, always consider its professionalism, relevance and how effective the content is in providing value and making your website more sticky to your customers and target audience. Depending on your industry or marketplace, mobile internet browsing is becoming more popular with each passing year. It therefore makes sense for your website to automatically convert to a mobile-friendly version when viewed on a mobile and other hand-held devices. Furthermore, as part of the emphasis to promote the user experience, in April 2015 Google stated that mobile usability had been added to its algorithm, and that all sites should be 100% mobile responsive. This is by no means to be used as a comprehensive or all inclusive checklist. It is just 10 of the most common SEO issues I see when I am initially asked to review a website. The most surprising thing is when a company has been paying someone to manage a SEO campaign and the very basics haven’t even been addressed. Unfortunately the digital marketing industry is awash with charlatans, clever sales people and agencies looking for a quick fix to hit their next monthly target. I don’t work like that. Buzzin Media is looking to manage more successful digital marketing campaigns. If I don’t already work for one of your competitors, I would like to hear from you. Contact Buzzin Media today to discuss how we can work together to help make your company an online business success.